OBJECTIVE: Bricktown, located in downtown Oklahoma City, is one of the premiere tourist attractions in the state of Oklahoma with many shops, restaurants and events. The sales and marketing agent for the Bricktown Association is Griffin Marketing Solutions who manages all of the marketing and public relations for the association. 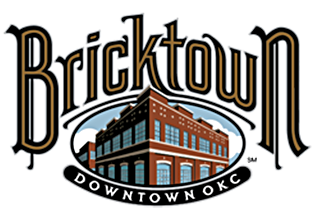 One of the primary assets they manage is the official Bricktown website, WelcomeToBricktown.com. GMS has website sponsors who get additional exposure and value on the site in exchange for a monthly sponsorship fee. To add additional value to their sponsorship packages and to create another Bricktown asset that could be used to create additional sponsor dollars, they decided to launch a Bricktown Mobile Club. The goal of the mobile club was to have an additional marketing asset that could be utilized to tout sponsors and to send out information on Bricktown events, promotions & giveaways, offers and more. STRATEGY: The goal for 7 Media Group’s services for Oklahoma City’s Bricktown in 2010 was to expand their social element along with utilizing mobile marketing. The Bricktown area attracts a large number of diverse people all of whom can benefit from the use of mobile marketing by keeping them up to date on all of the happenings of the area. CALL TO ACTION: The Bricktown Association launched the club at the end of May and found immediate success in both growing club membership and in getting hundreds of entries for giveaways. They utilized their existing social media assets to create awareness of the club such as their Facebook Fan Page, Twitter, and the Bricktown website (WelcomeToBricktown.com) along with prominent signage on locations in Bricktown. Aside from occasional half page print ads in the Oklahoma Gazette, no media was purchased to promote the mobile club. RESULTS: Griffin Marketing Solutions has been able to track the growth, which has been consistent and steady and is good, quality growth. They have consistently added several hundred new Fans on Facebook month over month. They have also seen dramatic growth in their WAP site-traffic. They send out mobile alerts to their club members every Monday & Thursday and their mobile membership numbers are steadily increasing week over week.